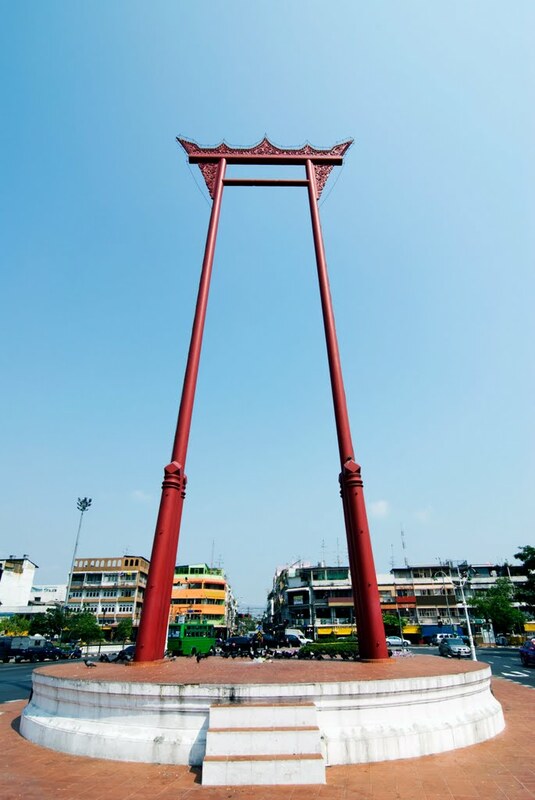 There is a giant swing in Thailand called Sao Chingcha (เสาชิงช้า) that stands at 21m in front of Wat Suthat temple at Phra Nakhon district. It was constructed in 1784 in front of the Devasathan shrine by King Rama I. In 1935, the swing ceremony was discontinued due to several fatal accidents. The ceremony involved swinging in ever-higher arcs in an effort to reach a bag of gold suspended from a 15m bamboo pole. Whoever grabbed the gold could keep it. But this was no mean feat, and deaths were as common as successes. 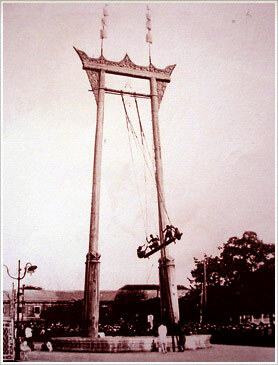 The Swing Ceremony was one of the 12 royal ceremonies held in each of the months of the Thai lunar calendar in the Sukhothai kingdom. Originally held in the first lunar month, it was moved to the second lunar month in the early Rattanakosin period at the beginning of the 19th century. The ceremony was a Bhramin new year’s ceremony and lasted for 10 days. According to an ancient Hindu epic, after Brahma created the world he sent Shiva to look after it. When Shiva descended to the earth, Naga serpents wrapped around the mountains in order to keep the earth in place. After Shiva found the earth solid, the Nagas moved to the seas in celebration. The Swing Ceremony was a re-enactment of this. The pillars of the Giant Swing represented the mountains, while the circular base of the swing represented the earth and the seas. Thai people believe that spirit cloths can help to… Learn how to be a Mermaid in Thailand!